 The life-changing NSA-DC Speakers Academy is an intensive 10-module program for emerging, aspiring and current professional speakers, trainers, “solopreneurs”, and business owners ready to turbocharge their careers and move from free-to-fee. You benefit from an intensive professional and personal development experience that provides relevant curriculum, an extensive workbook, hands-on activities, and lively interaction. The program is enhanced with a mentor/mentee program, an accountability manager, and personal coaching. 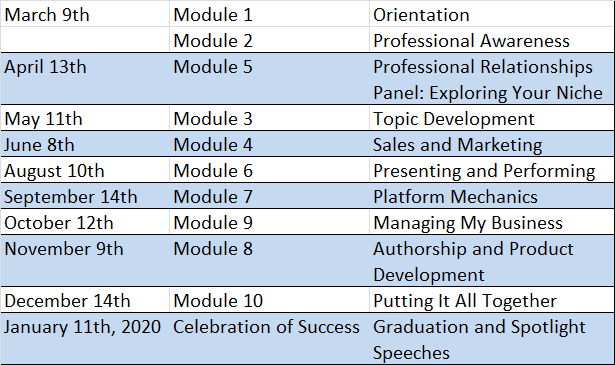 Each session is designed to accelerate your skills and confidence to ensure a smooth business launch and conversion to professional membership status. Your investment for the entire program is $2085, including a $550 non-refundable deposit at the time of application. Click the "Pay Now" button below to submit the $550 deposit. "For me, one year of the Speakers' Academy is worth 15 years of trying to find out this information on my own. You’ll find that the benefits include finding your niche as a speaker, and learning the mechanics of running your speaking business. You’ll have access to some of the best minds in the industry. Possibly the best part is being exposed to lecturers who really care about your progress. Oh wait, there’s more…. maybe the best part is the fabulous classmates you’ll have. An observation about NSA: it’s a generous organization."